Georgios Nikolaou Papanikolaou (or George Papanicolaou ; May 13, 1883 – February 19, 1962) was a Greek pioneer in cytopathology and early cancer detection, and inventor of the “Pap smear”. Papanikolaou studied at the University of Athens, where he received his medical degree in 1904. Six years later he received his Ph.D. from the University of Munich, Germany, after he had also spent time at the universities of Jena and Freiburg. In 1910, Papanikolaou returned to Athens and got married to Andromahi Mavrogeni and then departed for Monaco where he worked for the Oceanographic Institute of Monaco, participating in the Oceanographic Exploration Team of the Prince of Monaco (1911). In 1913 he emigrated to the U.S. in order to work in the department of Pathology of New York Hospital and the Department of Anatomy at the Weill Medical College of Cornell University. 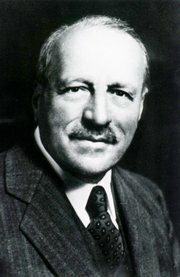 He first reported that uterine cancer could be diagnosed by means of a vaginal smear in 1928, but the importance of his work was not recognized until the publication, together with Herbert Traut, of Diagnosis of Uterine Cancer by the Vaginal Smear in 1943. The book discusses the preparation of vaginal and cervical smears, physiologic cytologic changes during the menstrual cycle, the effects of various pathological conditions, and the changes seen in the presence of cancer of the cervix and of the endometrium of the uterus. He thus became known for his invention of the Papanicolaou test, commonly known as the Pap smear or Pap test, which is used worldwide for the detection and prevention of cervical cancer and other cytologic diseases of the female reproductive system. In 1961 he moved to Miami, Florida, to develop the Papanicolaou Cancer Research Institute at the University of Miami, but died in 1962 prior to its opening. Dr. Papanicolaou was the recipient of the Albert Lasker Award for Clinical Medical Research in 1950. Papanikolaou’s portrait appeared on the obverse of the Greek 10,000-drachma banknote of 1995-2001, prior to its replacement by the Euro. In 1978 his work was honored by the U.S. Postal Service with a 13-cent stamp for early cancer detection. The fact that malignant cells could be seen under the microscope was first pointed out in a book on diseases of the lung, by Walter Hayle Walshe (1812-92), professor and physician to University College Hospital, London, in 1843. This fact was recounted by Papanikolaou. In 1923 Papanikolaou told an incredulous audience of physicians about the noninvasive technique of gathering cellular debris from the lining of the vaginal tract and smearing it on a glass slide for microscopic examination as a way to identify cervical cancer. That year he had undertaken a study of vaginal fluid in women, in hopes of observing cellular changes over the course of a menstrual cycle. In female guinea pigs, Papanicolaou had already noticed cell transformation and wanted to corroborate the phenomenon in human females. It happened that one of Papanicolaou’s human subjects was suffering from uterine cancer. At a 1928 medical conference in Battle Creek, Michigan, Papanicolaou introduced his low-cost, easily performed screening test for early detection of cancerous and precancerous cells. However, this potential medical breakthrough was initially met with skepticism and resistance from the scientific community. Papanicolaou’s next communication on the subject did not appear until 1941 when, with gynecologist Herbert Traut, he published a paper on the diagnostic value of vaginal smears in carcinoma of the uterus. This was followed 2 years later by an illustrated monograph based on a study of over 3000 cases. In 1954 he published another memorable work, the “Atlas of Exfoliative Cytology“, thus creating the foundation of the modern medical specialty of Cytopathology.